The Memorial Candle Program has been designed to help offset the costs associated with the hosting this Tribute Website in perpetuity. Through the lighting of a memorial candle, your thoughtful gesture will be recorded in the Book of Memories and the proceeds will go directly towards helping ensure that the family and friends of John Liska can continue to memorialize, re-visit, interact with each other and enhance this tribute for future generations. Mr. John Liska, age 93 of Powder Springs passed away Thursday Aug 2, 2018. Funeral Services will be held Monday Aug 6, 2018 at 11:00am Bellamy Chapel Hiram. Interment at Rolling Hills Memorial Gardens. 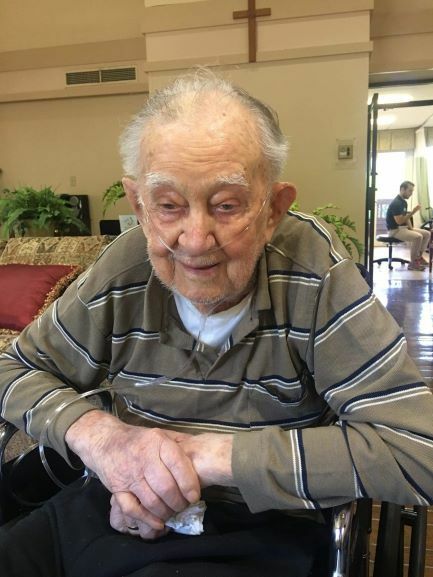 Mr. Liska was a member of Woodman of the World, a member of Santa Claira Baptist Church and served in the U.S. Army in World War II. He is preceded in death by wife Maxine Thomas and brother Gordon Liska. 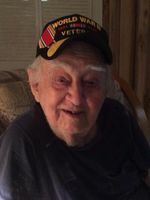 He is survived by one daughter Linda Brewin of Canada, one son Jerry Bentley of Florida, two brothers Albert Liska and Bill Liska both of New Jersey. One granddaughter Tomi Cooper of Powder Springs, four great grandchildren, nieces and nephews.